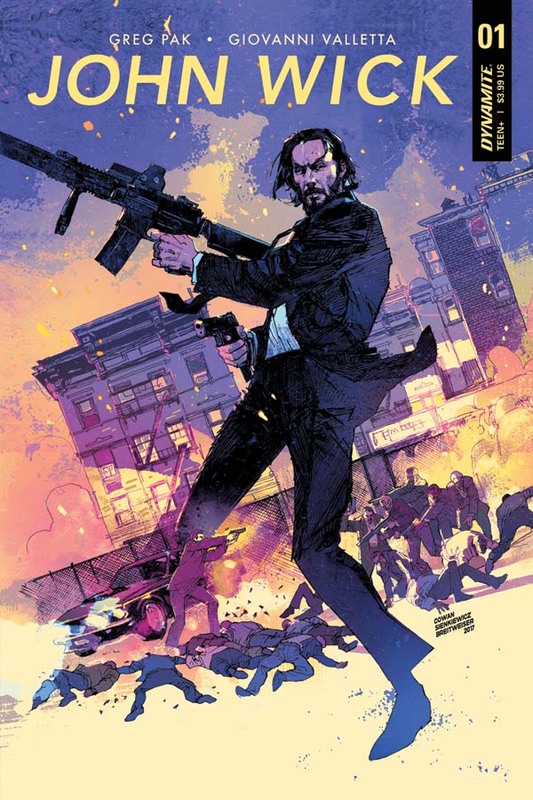 Officially, John Wick the comic book will release in September of this year, which is only 2.5 months away. The comic books will be written be Greg Pak (X-Men, Hulk) and illustrated by Giovanni Valletta, and won’t be an immediate continuation of the 2nd film. Instead, we will get a John Wick origin story and and some of his first “jobs” as an assassin. It’s being described as part of the official movie canon, meaning this can take place inside the world of John Wick movies, but can feature any number of characters and time lines. Let it also be known that Lionsgate, Thunder Road, Keanu Reeves, and Derek Kolstad are super excited about this comic book and are fully behind it. Let it also be known that there is a TV series planned for John Wick too, which I’m on the fence about right now. I’m hearing that Keanu Reeves will have cameo as Wick in the TV show, but won’t feature him, but rather other assasins and the world that John Wick thrives in. We’ll see how that goes, as there aren’t any cast, crew, or even networks involved yet. 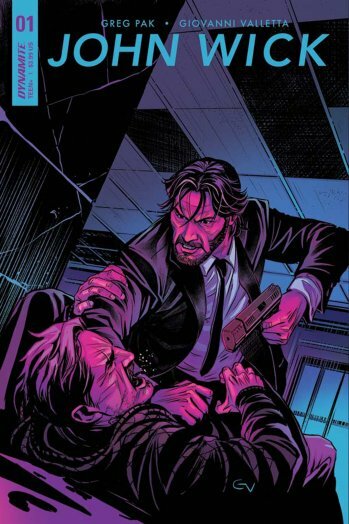 With this comic book series though, we will get a big look into the world of John Wick and perhaps see some of the fun stories we’ve heard the movie characters speak about. I can’t wait to see how John Wick got involved in this job and his relationship with the automobile guy Aurelio (played by John Leguizamo) in the films. It’s going to be super fun and so far the artwork looks incredible. You can see both covers for issue #1 here. Quentin Tarantino Is Giving Us a ‘Django Unchained/Zorro’ Comic Book!! This entry was posted on Tuesday, June 20th, 2017 at 3:26 pm	and is filed under Comics, News. You can follow any responses to this entry through the RSS 2.0 feed. You can skip to the end and leave a response. Pinging is currently not allowed. « Blu-ray Review: T2 Trainspotting!